For support inquiries and availability – please send me an email using the Site Contact Information. toMotion simplifies the installation of Motion Templates that are supported in Final Cut Pro X. The application also supports project file editing (Theme designation, Frame Rate conform, etc. ), and dated incremental backups. symLinkX is a Cocoa front end designed to create Symbolic Links. pkfDelete recognizes (and deletes) unwanted Adobe Audition created .pkf meta files that have accumulated in a specific folder. setShareX enables support for initializing the creation and accessibility of Apple Compressor Presets stored on a common network location such as DropBox or iCloud Drive. upTimer emulates a hardware component timer used in broadcast studios. All applications are available. Please get in touch if you have any interest. I’ve also created a few Final Cut Pro X Templates that are available for free, including Cinemascope Toolkit and Information Bar Fill Lower Thirds for both 1.78:1 and 2.35:1 aspect ratios. Please visit my Vimeo page for more information. Lastly I’ve written custom Cocoa Application installers. 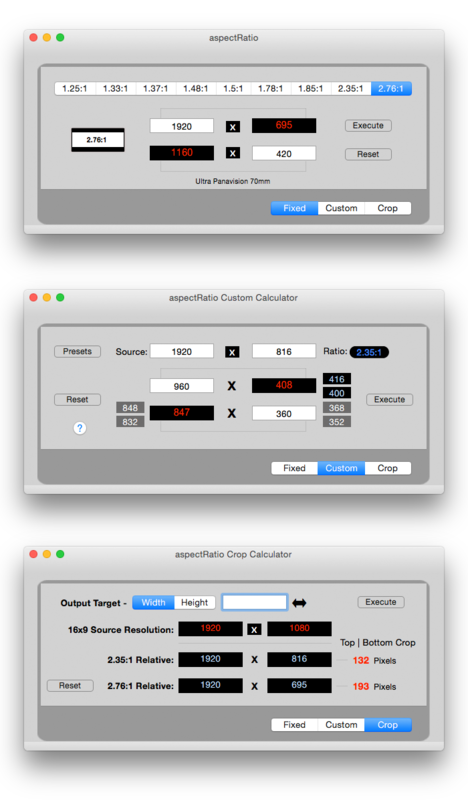 I also have the capability to build custom Installer Packages for Motion Templates. Again, please feel free to contact me for more information.